When I first met my Midwesterner husband, he considered black pepper to be hot, Mexican food was out of the question and spices, if used at all, were applied with a timid hand. Six years later it’s a completely different story. Not only is he making his own hot sauces but each spring he creates a list of all the peppers he wants to grow in our garden that year. From cheesehead to chilehead. 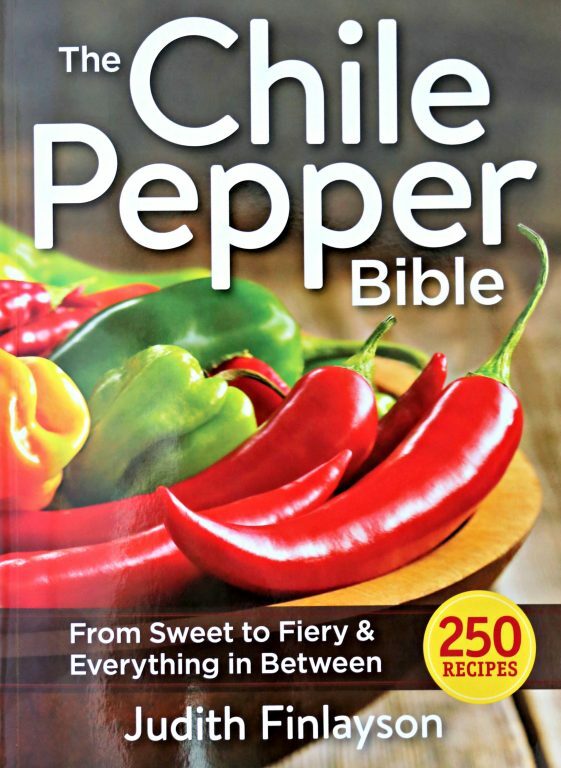 When I was offered a complimentary preview copy of The Chile Pepper Bible, From Sweet to Fiery & Everything in Between by Judith Finlayson, I had his pepper obsession in mind. • Chile is the common name for Capsicum genus. So anything in this plant category, from sweet red peppers to the mind-blowingly hot ghost pepper, is a chile. • Salsa overtook ketchup as America’s favorite condiment in 1992. • There’s a group of men (of course there is) in a constant battle to create the hottest pepper. As of the publishing of this post, the Caroline Reaper, with a Scoville heat unit (SHU) of 1,569,300, known to peak over 2,200,000 SHU, wears the crown. To put it in perspective, that’s 100 times hotter than a jalapeño. All this reading is making me hungry though so let’s make Chinese Hot-and-Sour Mushroom Soup. 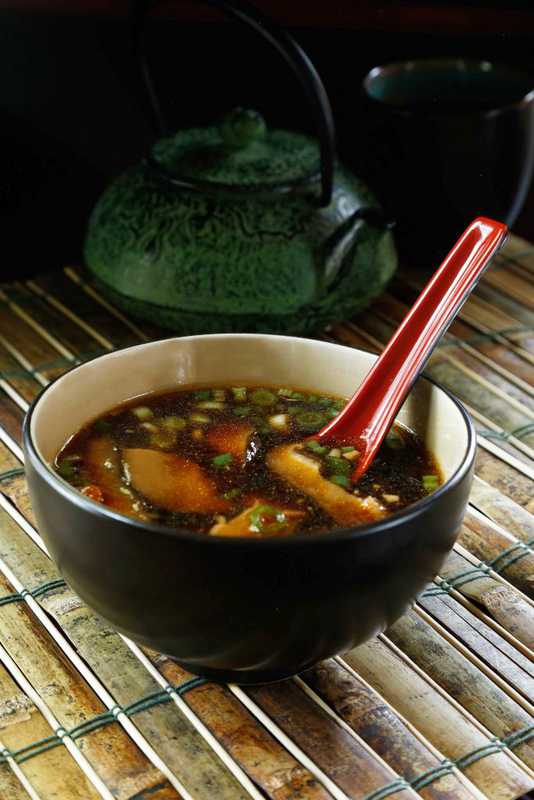 It’s one of my Chinese restaurant favorites – especially when it has enough heat to make my lips tingle just a titch – but I’m all for skipping the eat-out, or takeout, and making it at home. The recipe calls for a red finger chile, which turns out is another name for a cayenne. I searched high and low for a fresh cayenne, and not finding one in October in Boise, I used a salsa pepper from the aforementioned pepper garden. Actually I only used half of one as I’ve made that mistake before. Author: Courtesy of The Chile Pepper Bible: From Sweet & Mild to Fiery & Everything in Between by Judith Finlayson © 2016 www.robertrose.ca Reprinted with publisher permission. Available where books are sold. 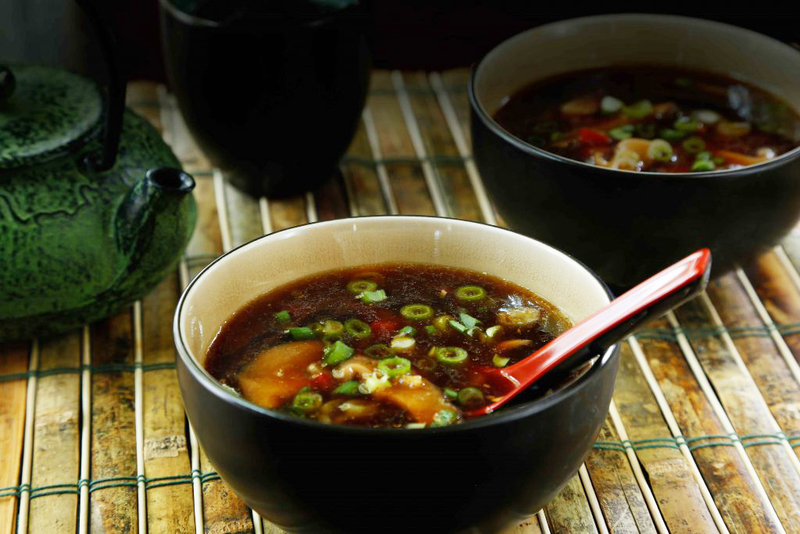 Be sure to use gluten-free soy sauce or wheat-free tamari if you are making this soup for someone who is sensitive to gluten. Bitterness is an important flavor in this soup. The sweet red bell pepper balances that component, adding lovely complexity. Just as I expected I found my husband the other day fully engrossed in this book. I’m guessing the pepper shopping list for the nursery next spring just got a little longer.